Jupiter Brand “Palm” battery for oil cartridges. 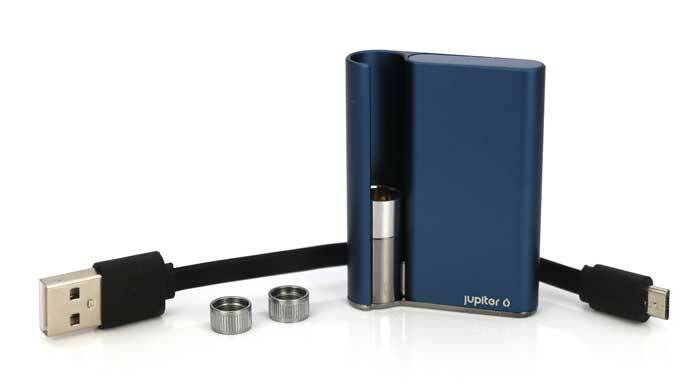 Kit includes the Jupiter Palm Battery, 2 magnetic cartridge adapters, and a Micro USB charger. 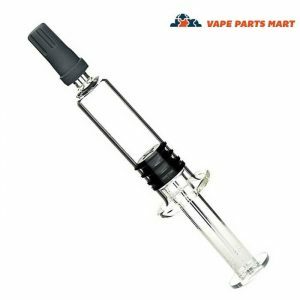 Recommended Cartridge: Jupiter L6 Single Use or Jupiter L6 Glass Refillable. Jupiter Palm Battery by Jupiter Research is the revolutionary palm battery that changed an industry. When parent company Smoore released the Palm unit it turned the vape industry upside down. 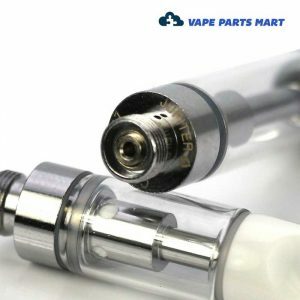 The most common and traditional vape was always a “Pen” style battery. 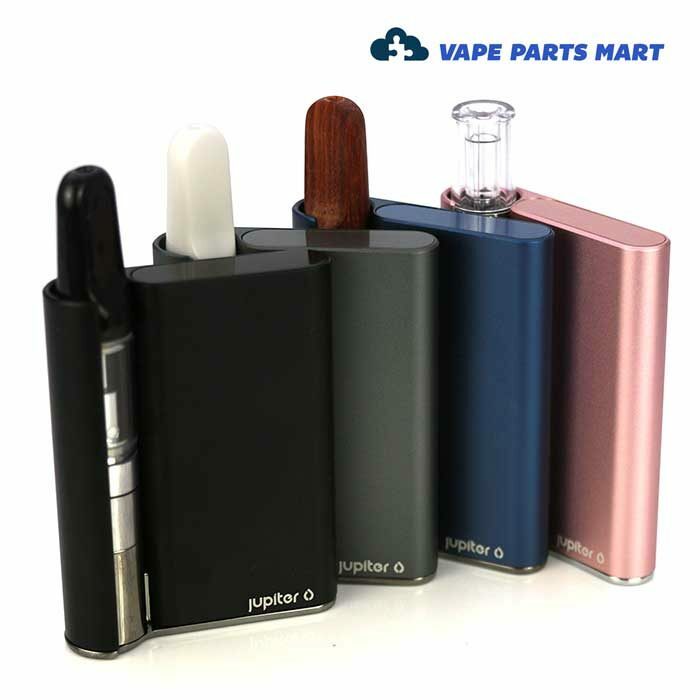 Smoore is the Manufacturer of both the Jupiter Palm and the CCell Palm. Designed to fit into the palm of your had, therefore making this one of the most discreet vapes available. How Small Is The Jupiter Palm Battery? Small… Literally the Palm is designed to be tucked into the palm of your hand in-order to keep it as discreet as possible. 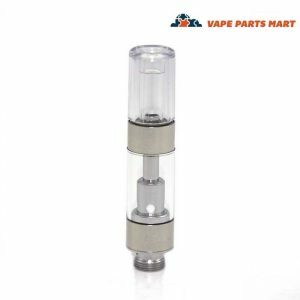 The biggest designs change with the Jupiter Palm Battery is that the cartridge fits inside the battery rather than on the top of the battery like traditional pen styled vape batteries. With the cartridge inside the whole unit is roughly the height of your average lighter. 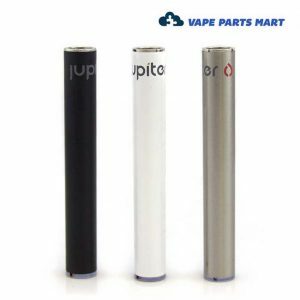 The Jupiter Palm Battery is compatible with all types of cartridges but is primarily designed to house .3ml, .5ml, or 1ml Jupiter and CCell cartridges. Most pictures show the battery with the .5ml cartridge inside. 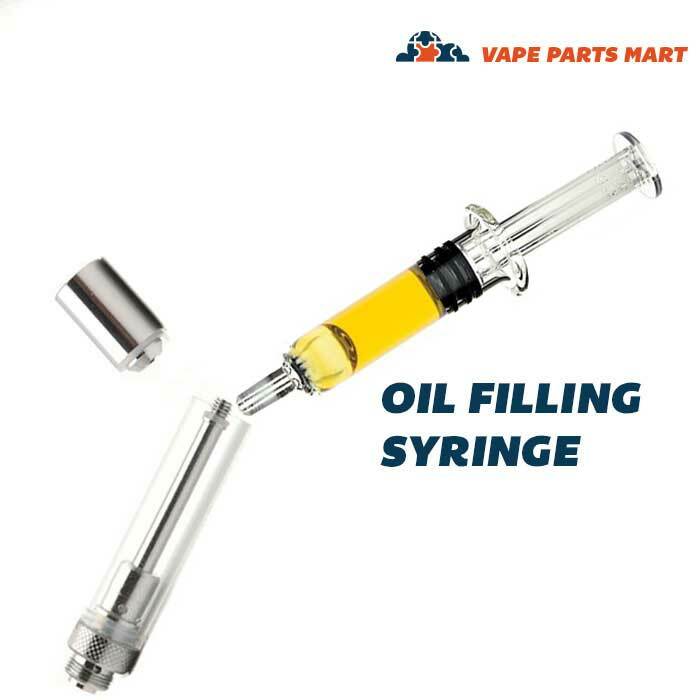 The 1ml cartridge will stick out an additional 1/2″, and the .3ml cartridge will be 1/4″ lower than the .5ml. The Jupiter Palm Battery uses a few unique features that makes it stand out above many other vape batteries. Magnets are used inside the battery to hold the cartridge in place. 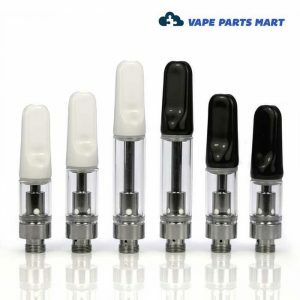 Vape cartridges are typically designed to be threaded onto the battery. 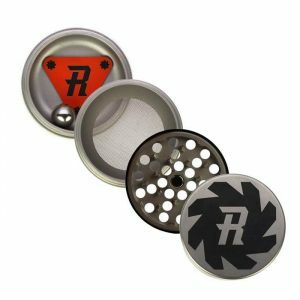 Jupiter includes two magnetic thread adapters which will allow any 510 thread cartridge to stick to the internal battery. The second unique feature of the Jupiter Palm Battery is it is inhale activated meaning no more power buttons. Simply attach your favorite cartridge and inhale. There is an internal pressure switch that will activate the battery. 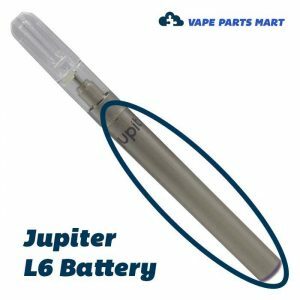 Almost all vape cartridges are compatible with the Jupiter palm battery but there are a few things to know. 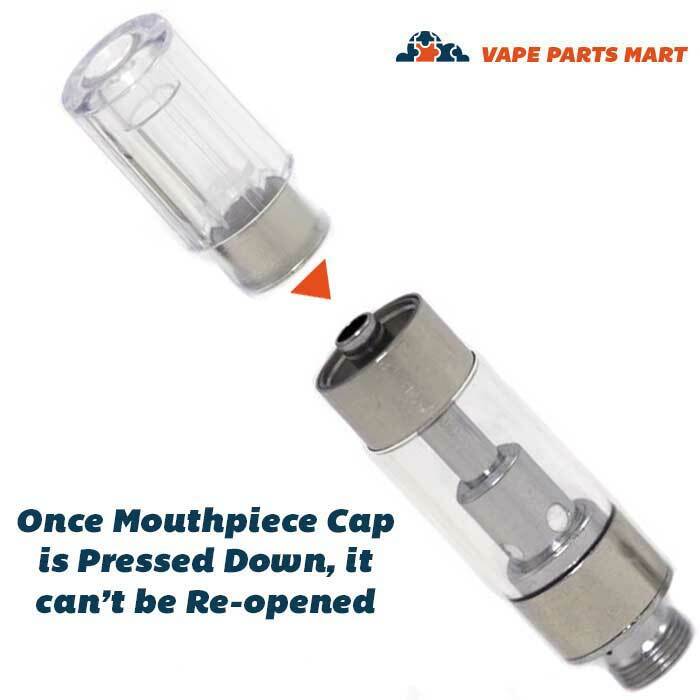 Make sure you are using a bottom airflow cartridge. This means that the cartridge draws in its air from a small air hole in the bottom of the cartridge. It is this airflow that will activate the inhale feature. Your cartridge must be 510 thread. 510 is the industry standard but there are a few exceptions to the rule. All CCell and Jupiter cartridges meet both these requirements. Battery lasts three days on average for me. I like that I can see the entire cartridge so in case any leaks happen I'll know right away, haven't had any problems so far though. This battery isn't adjustable but they've dialed in like the perfect temperature/power output. The clouds are big, tasty and comfortable. This is by far my favorite oil cartridge battery! Tiny but lasts me all day and works with all my cartridges.